Receive QC’s Deluxe Makeup Kit for free when you enroll in the Master Makeup Artistry Course. 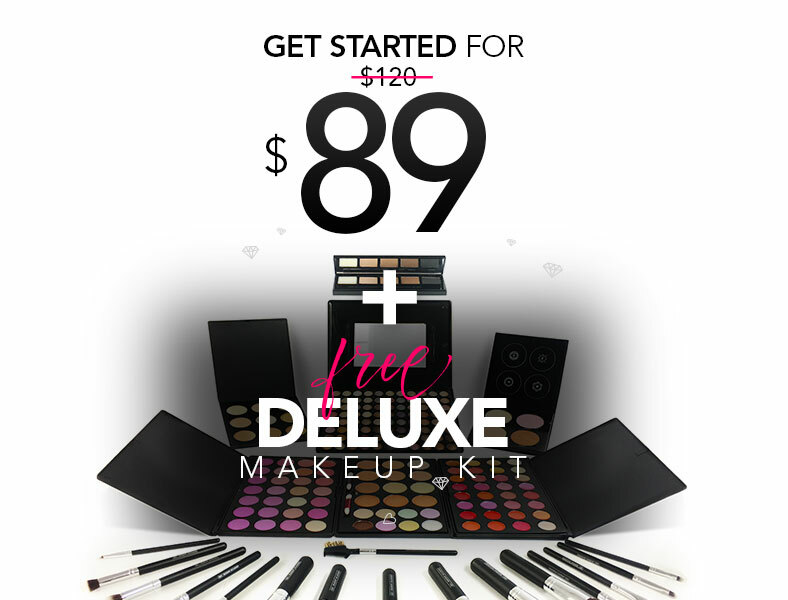 This 8-piece professional kit will prepare you for your course and your career. Whether you want to work in film & television, on Broadway, or specialize in bridal makeup – QC’s online courses can turn your dream into a reality. Choose from a variety of courses, unmatched by any other makeup school! 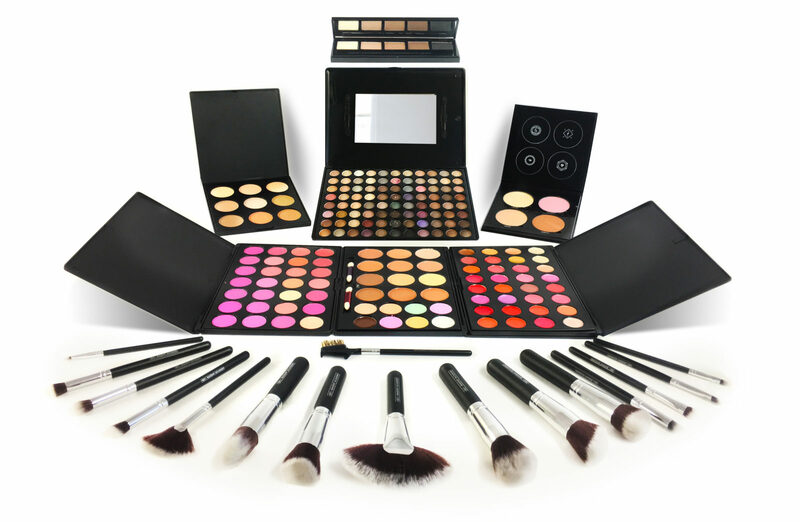 Receive QC’s Deluxe Makeup Kit when you enroll in the Master Makeup Artistry Course. 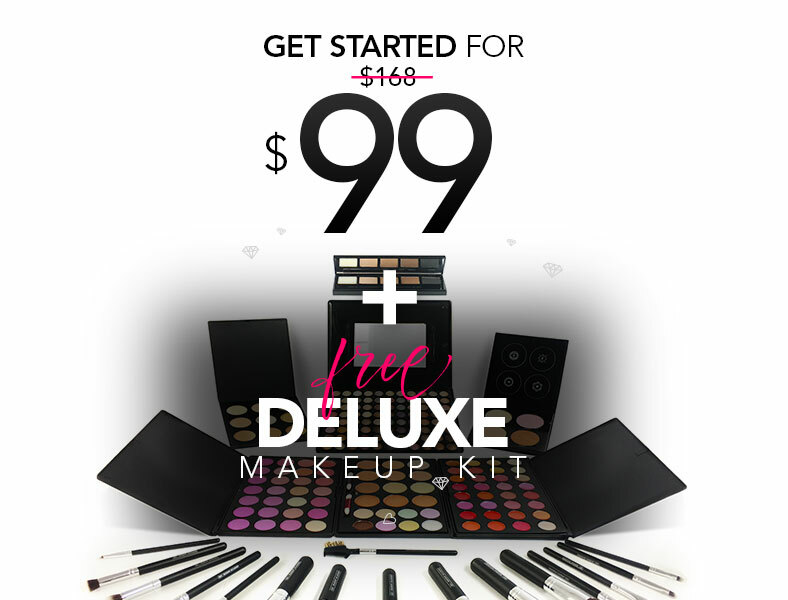 Filled with gorgeous lip and blush shades, and over 80 shades of eye shadow, this kit will allow you to create makeup looks for any skin tone!